The 2014 National Curriculum states that KS1 and KS2 children should ‘develop their love of literature through widespread reading for enjoyment’. What better place to start than with the fantastical adventures of Gulliver? 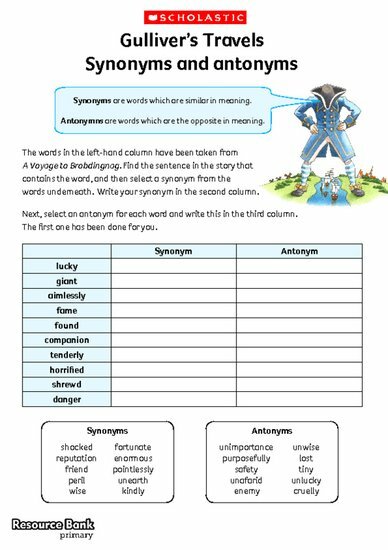 Encourage the children to think of words of the same or similar meanings to words used in the story of Brobdingnag. Once the sheet is completed, consider how the antonyms would change the meaning of the relevant sentences.